Last 7th of May I attended 1-DAY ACUVUE® DEFINE™Media Launch in EXODUS Lounge. And different from usual, I was a speaker for the media launch. 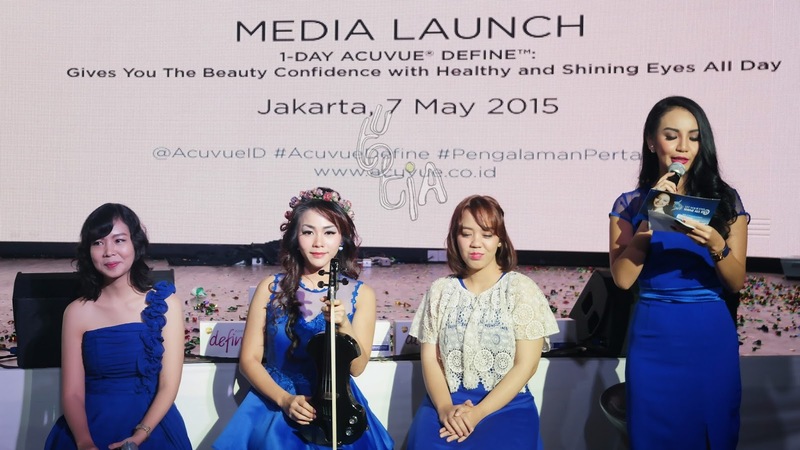 Along with other two fabulous girls, we gave our testimonial about using 1-DAY ACUVUE® DEFINE™for the very first time #PengalamanPertama. Yes, they are. And it's no wonder that woman always strive to be beautiful by enhancing their eyes feature. Back in Cleopatra's era, women used eyeliner (and it's still here until now). 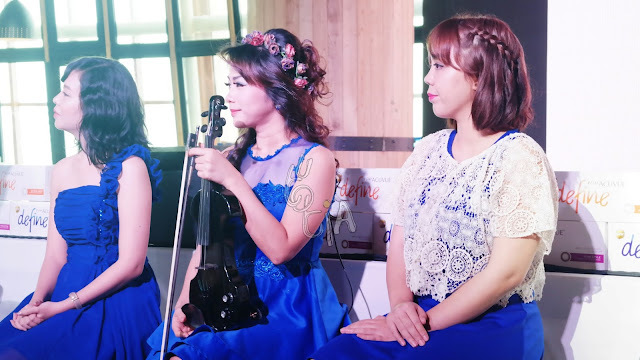 In modern era, well, not much difference: blend of eyeshadows and spider lashes by using mascara. And now there is a solution to look beautiful while maintaining your healthy eyes. Johnson & Johnson Vision Care Indonesia proudly introduce the new 1-DAY ACUVUE® DEFINE™ with LACREON® - a new generation of daily disposable beauty contact lenses, specially designed for Asian eyes with color design inspired by the human eye iris shape, so it looks more natural and makes you have a beautiful "Healthy and Shining eyes All Day". What's the difference with other contact lenses? 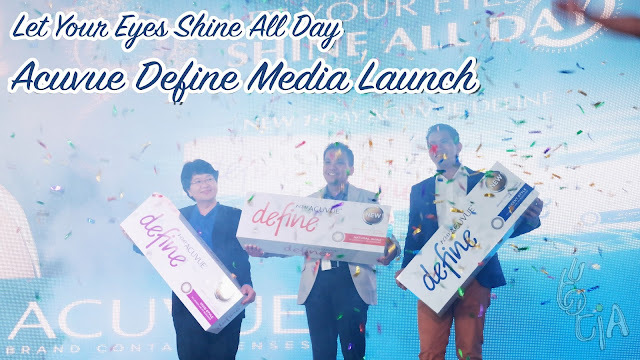 Yes, 1-Day Acuvue Define is comfortable because of LACREON® technology, the one and only beauty contact lenses which has a wetting material that is locked inside the lens to retain moisture up to 20 hours to make your eyes feel fresh and comfortable all day. 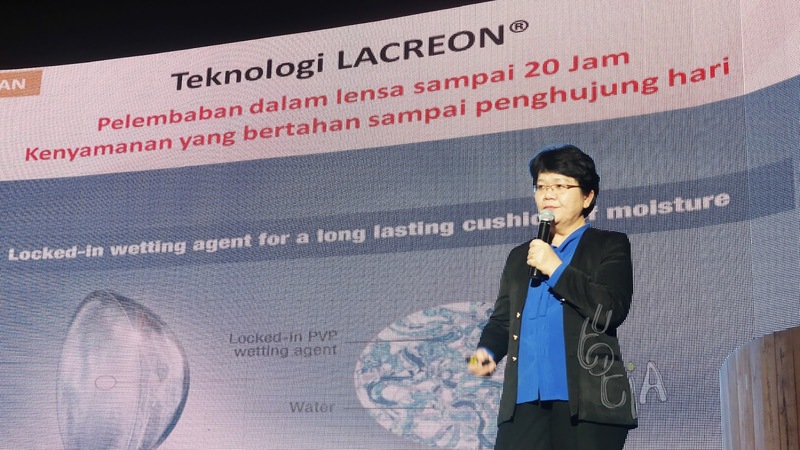 "Lacreon® technology is a technology that has been used in 1-Day ACUVUE® MOIST®, which makes the lens feels so comfortable in the eyes and successfully make it the number one daily contact lens in the world, and now this technology is also being used in 1-DAY ACUVUE® DEFINE™," said Mr. Rian Surachman, Brand Manager, J&J Vision Care Indonesia. It's safe because of Beauty-Wrapped-In-Comfort™ technology (BWIC™) that wraps the color pigment between two layers of thin and transparent lenses material (Etafilcon A) to prevent contact between the color pigment and eye to reduce eye irritation. "Thanks to the BWIC™ technology, the location of the color pigment is placed between two layers of transparent lens materials hence maintaining the smoothness of the lens surface and ensuring that the color will never fade and cause irritation to the eye. 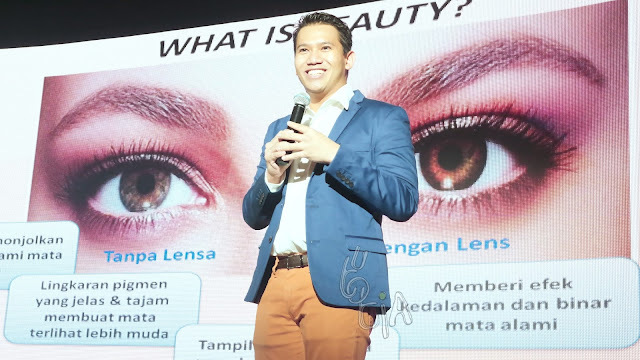 When women wear beauty lens that are not ideal it may cause adverse effects such as red eyes, dry eyes and tired eyes, but they reluctantly cope with it because they think "Beauty is Pain", but it really is not! Because only Healthy Looking Eyes equals Beautiful Eyes," said Cheni Lee, Professional Affairs Manager, Johnson & Johnson Vision Care Indonesia. 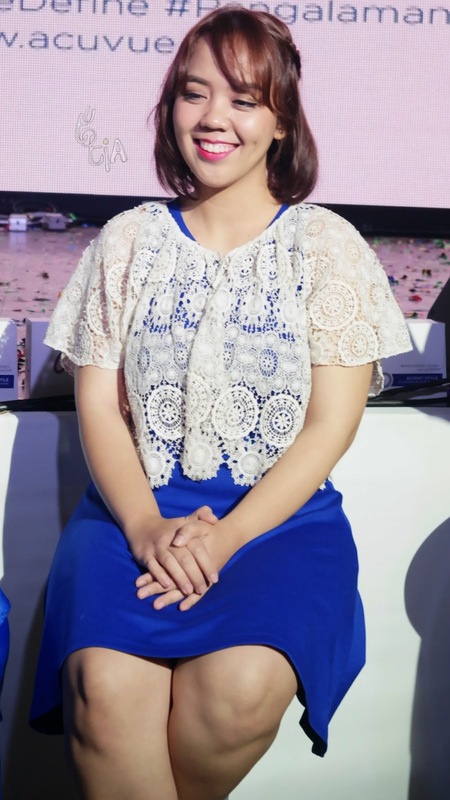 And of course it's definitely healthy because of the UV protection, ACUVUE® is the one and only brand which has internationally recognized standard UV protection. UV-blocking contact lens helps to protect the cornea from harmful UV radiation. “Just like the skin, the eyes also need protection from the UV Rays in order to keep the eyes stay healthy.” said Cheni Lee, Professional Affairs Manager, Johnson & Johnson Vision Care Indonesia. 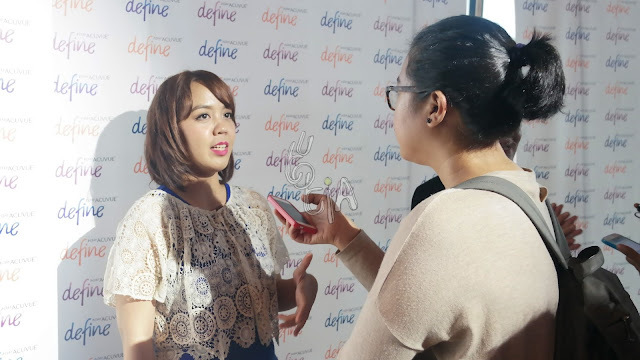 And I also had my time to share my experience about the comfort use beauty contact lenses for the first time with 1-DAY ACUVUE® DEFINE™. 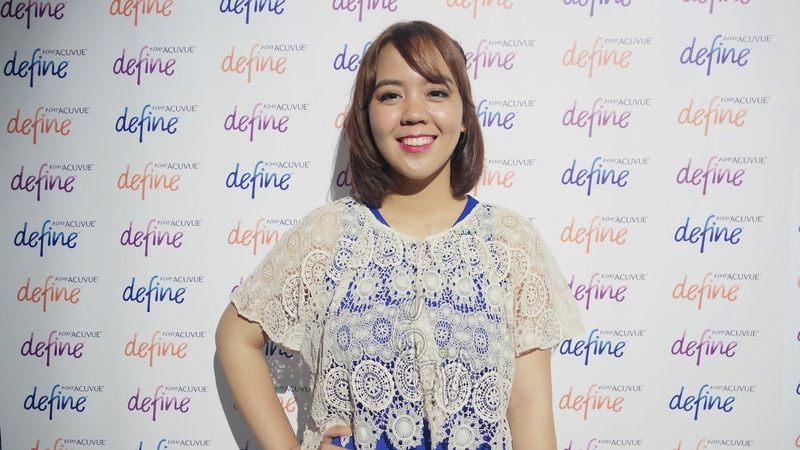 There is Rani Eva Dewi, the MTV-ACUVUE® "Dare To Be" VJ Contest Winner from Indonesia. 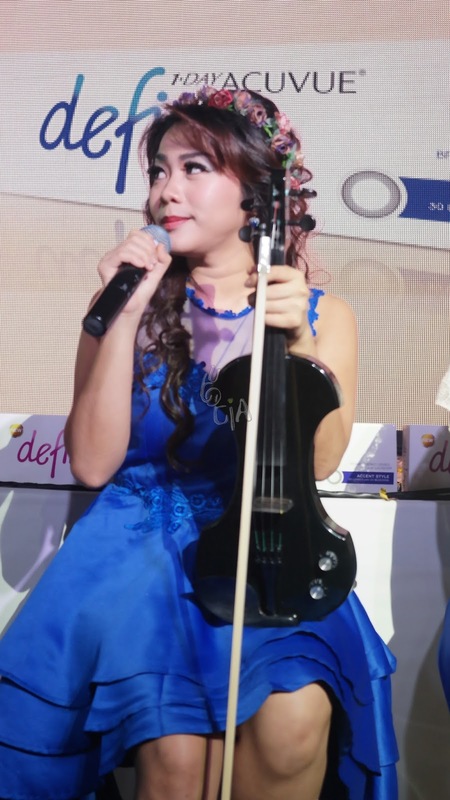 And there's also the talented Marcella who is the winner of #PengalamanPertama contest and also a violinist. 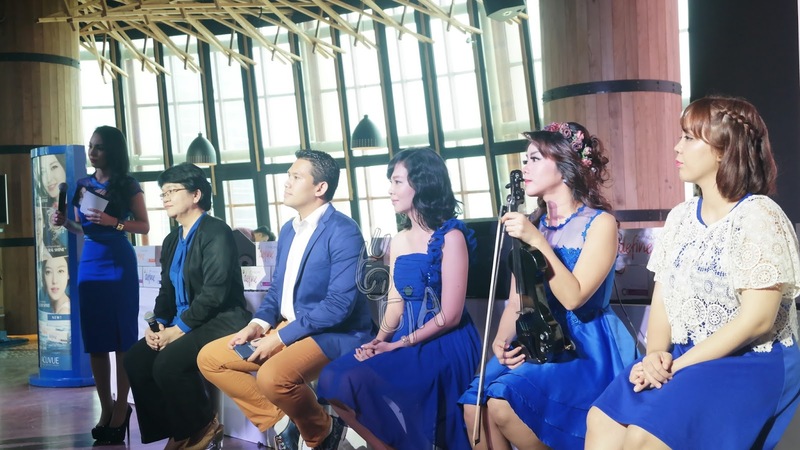 And there's me as a beauty blogger, talking about how 1-DAY ACUVUE® DEFINE™ is the best beauty contact lenses I've ever used. Practical and very suitable because 1-DAY ACUVUE® DEFINE™ is a daily disposable contact lenses and no need to be washed after use. 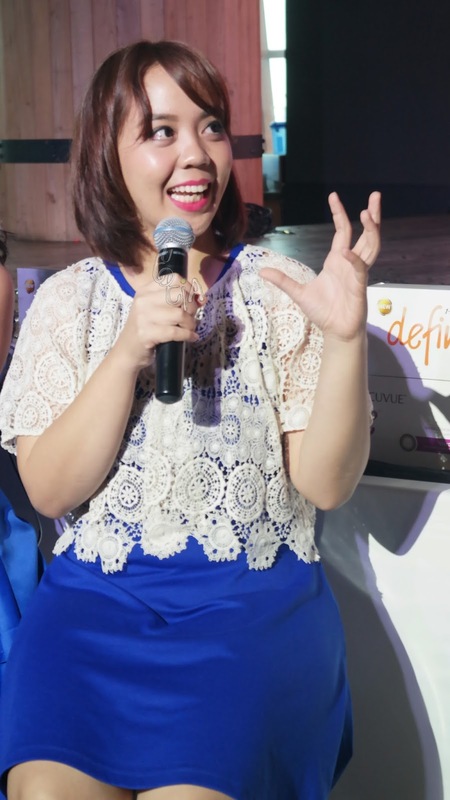 I like 1-DAY ACUVUE® DEFINE™ ACCENT STYLE because it looks so natural, very comfortable in my eyes, and brings out my authentic look during my everyday activities! During interview, I also mention that natural colors are the latest trend for contact lenses nowadays! I bet you don't want to look 'fake' or even like an alien while wearing contact lenses right? Wearing contact lenses should be about enhancing your eyes, not changing it! This product is currently available in Optik Melawai and Optik Seis, with a retail price of Rp390.000,00 (1box = 30pcs of lens). 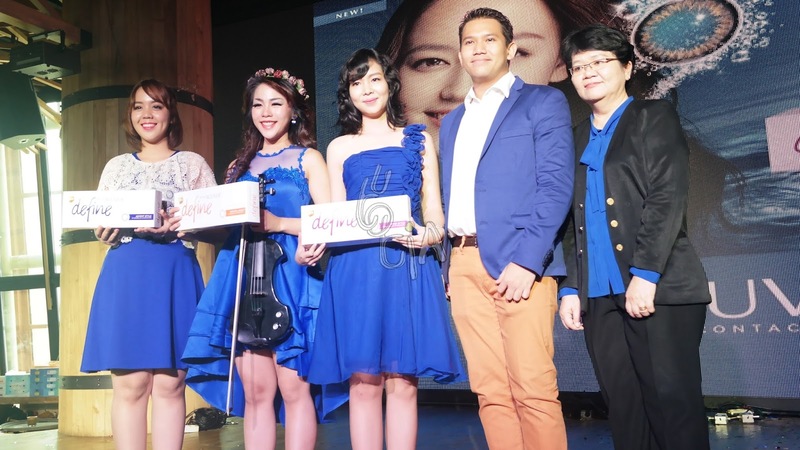 To find interesting info updates about ACUVUE® Indonesia, please follow @acuvueid on twitter and "like" facebook fanpage Acuvue Indonesia or visit www.acuvue.co.id. What are you waiting for? Get more beautiful eyes while maintaining your eyes' health without wasting your time with 1-DAY ACUVUE® DEFINE™. Please feel free to leave comments if you have any questions regarding the usage of 1-Day contact lenses, beauties! 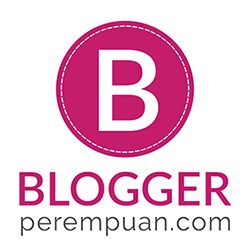 Oh, jadi ini brand messagenya, Comfortable, Safe, Healthy. Noted!